Carry your essentials with this See by Chloe™ wallet. Wallet made of goat leather. Decorative rings with key charm at front. Lined interior features cards slots, zip pocket, and slip pockets. 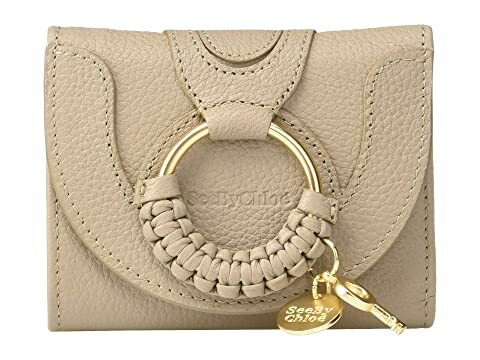 We can't currently find any similar items for the Hana Leather Wallet by See by Chloe. Sorry!